Hazardous waste is defined as any type of waste that poses either a substantial or potential threat to public health and/or the environment. This type of waste is created in many facilities and it needs to be handled correctly. In most places, there are many laws and regulations focused on hazardous waste disposal, which is critical for companies to get right. The environmental protection agency, or EPA, offers most of the regulatory oversight when it comes to hazardous waste, its storage, transportation, and disposal. Any facility that produces a significant amount of hazardous waste will have to work closely with an EPA representative to ensure everything is in compliance with the applicable laws. Recycling - Ideally, hazardous waste should be recycled into new products. Many batteries and electrical boards are considered hazardous waste because of the heavy metals in them. Rather than having them take up space somewhere, it is possible to recycle them so they can be used in a different form in the future. Cement Based Disposal - Mixing certain hazardous wastes into cement is another common option. This allows the waste to be stabilized and reduces its concentration. Once the cement is hardened, the hazardous waste won't cause environmental problems since it is held in one place. This cement can then be properly disposed of or stored in a containment area. Incineration - If the hazardous waste does not produce toxic fumes, it can often be incinerated. Just be sure that it is done in such a way as to avoid the risks of explosion or other potential hazards. Landfill - Some landfills can accept hazardous waste. They often have to have the ground properly lined to contain the waste and keep it isolated from the surrounding areas. For many companies, this is a good solution because it shifts the responsibility of hazardous waste storage and disposal to the landfill, which is often operated by experts in this area. Pyrolysis - This disposal option uses very high temperature electrical arcs to eliminate the hazardous waste. For certain types of waste, this is preferable to incineration. A company needs to understand what type of waste their facility produces to determine what type of hazardous waste disposal is the right solution. It is also important to learn about the different hazardous waste disposal options in the surrounding area, since it is unsafe and inefficient to ship hazardous waste long distances in most cases. In most facilities, hazardous waste is created on a regular basis, but not at such quantities that justify having it leave the facility daily. 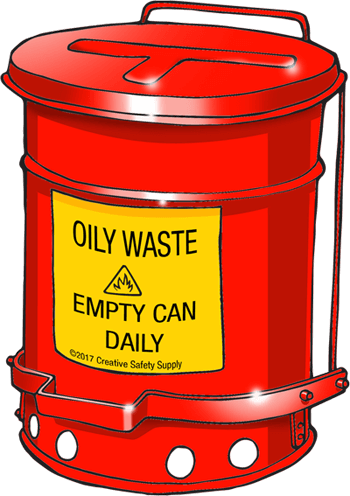 Storing hazardous waste onsite requires significant safety planning to ensure there are no spills or other accidents. One popular option is to use hazardous waste bins. Having different bins for different types of hazardous waste is very important. Mixing different types of hazardous waste can create problems including toxic fumes, the risk of fire, and much more. In addition, by having a different hazardous waste bin for each type of waste, the waste will be separated and ready for disposal when the time comes. Unlike traditional waste bins, hazardous waste bins should be properly secured or protected. In hospitals there are small, wall-mounted bins that hold sharp objects like needles. This is a great example of how the bin was designed to hold the needles while preventing anyone from reaching into the bin and potentially getting poked. Many types of bins will have locks available to keep them secured until it is time to have the waste permanently disposed of. This not only keeps the waste secured, but it also helps ensure only those who are authorized to use the hazardous waste bins will have access. In the event that there is a spill or an accident in the facility, it is important to have a hazardous waste cleanup plan in place. Depending on the resources of the facility, this could include bringing in outside assistance to handle the cleanup or using the internal maintenance teams. Whenever working with hazardous waste, and especially when cleaning it up, it is necessary to wear proper personal protective equipment (PPE). Learning about PPE is important and will also help companies stay in line with regulations. Creative Safety Supply offers a free PPE guide that provides a helpful introduction to this topic. There are also specifically-designed products available to handle different types of spills. Having these spill kits available will allow a facility to respond quickly to a hazardous waste spill to minimize the danger to the facility, the employees, or the surrounding environment. Our free spill kit guide can help companies to choose the right kits based on their specific needs. Most facilities will perform a variety of drills to ensure everyone knows how to respond in an emergency. Simulating a hazardous waste spill in the facility can be a helpful drill that will allow everyone to get a better understanding of what happens and how to respond. These types of drills can require the cleanup teams to put on their personal protective equipment, clear the area, and perform the required cleanup based on the simulated spill type. Another important tool used for hazardous waste disposal is hazardous waste labels. These labels can be put on containers or other hazardous waste bins to provide valuable information about the waste within. This could include detailed information about exactly what type of waste should be kept in an area, how the waste should be stored, and any specific warnings associated with the waste. Using a LabelTacÃÂ® industrial label printer along with their labels makes it fast and easy to create the custom labels needed in a given situation. This is much faster and more convenient than attempting to order custom labels from a third-party print shop. These labels can be used in more areas than just hazardous waste bins. 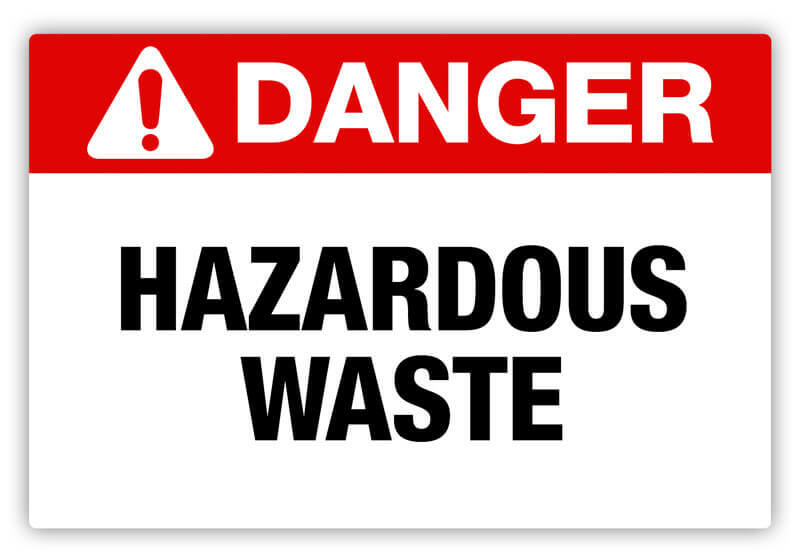 Machines that produce the hazardous waste can benefit from having these types of labels available. If the waste is stored in the facility for any length of time, the area where the storage is located should be labeled so people don't accidentally expose themselves to this threat. Another advantage of having the ability to print custom labels is there is no limit to the information that can be provided. Some labels can be standard, such as the one above. Other labels can give very detailed information that may be helpful to either employees or emergency workers. No matter what type of information needs to be shared, an industrial label printer can quickly create the required label and have it ready to be applied to virtually any surface in the facility. These labels can even be applied to truck signs to ensure they are properly identified while transporting hazardous waste. Whenever dealing with workplace safety, it is important to start with proper training for all the employees. Hazardous waste training in a facility can provide useful information about the specific types of waste that are produced in a given area. Employees can learn to identify this type of waste, what type of hazard it is, how to properly dispose of the waste, and more. 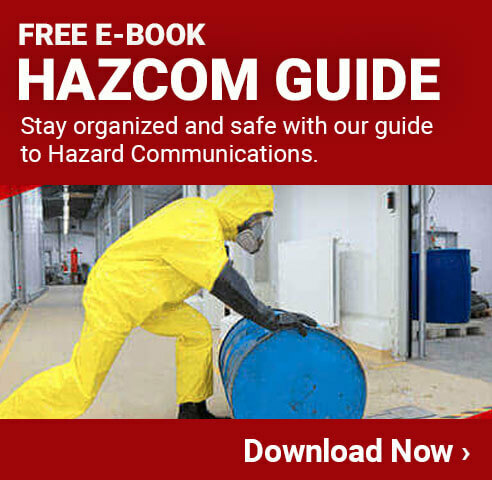 There are a variety of useful programs available that can give companies a good starting point for what everyone needs to know when it comes to hazardous waste disposal. Part of the hazardous waste training for most facilities involves working with outside companies that help facilitate the actual disposal of the hazardous waste. This could be a shipping company, landfill, incineration company, or any number of other services. Making sure a team within a facility knows who to contact and when to get hazardous waste removed from the area is critical to avoiding the buildup or mishandling of this type of waste. Creating a custom training program is often necessary because each facility operates differently, and having customized training available will produce the best possible results for the facility. When done properly, hazardous waste training can improve safety, efficiency, and eliminate the hazardous waste as quickly as possible.